Enter to Win 5 FREE Dole Product Coupons! 5 Winners! 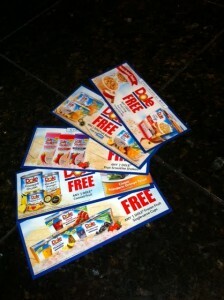 Who wants some FREE Dole Products? Well you are in luck! 5 winners will win 5 FREE Dole Product coupons! This giveaway will run until December 16, 2011 at 11:59PM EST!! It is easy to enter, just use the rafflecoptor to like and follow the blogs and you are entered. GOOD LUCK! Thanks for the giveaway! Good luck everyone!! !